Born 1973. Studied social therapy at the Academy of Social Art (Prague), Anthroposophy and Anthroposophic theology at the Freie Hochschule Stuttgart and philosophical anthropology and human sciences at the Faculty of Human Sciences, Charles University, Prague. He has worked as a promotion designer in the commercial sphere and as a social therapist for NGO’s (Elias Worhshop, Lemniskata). With the vision of „accessible and practical philosophy for everyone“ he lectures on the topics of philosophy of logos, Anthroposophy and other topics concerned with existential questions of a man’s orientation in him or herself and in the world. Born May 29, 1952 in Nuremberg, Germany. He was trained as a pharmaceutical wholesaler. Between 1972 and 1974, he worked in biodynamic agriculture in Germany. In 1974, he moved to Sweden, where he continued working in biodynamic agriculture and, at the same time, he started working in the area of curative education at the anthroposophical Järna Centre in Sweden. From 1990 to 1995, he studied anthroposophy and rented a biodynamic farm in Järna, producing milk and vegetables. Between 1993 and 1998, he studied veterinary medicine in Uppsala, with parallel schooling in veterinary homeopathy. He currently works as a veterinarian for small and large animals, specializing in cattle. From 2008, he has had a private practice in Järna, focused on anthroposophical veterinary medicine. He is married and has three children. A priest with The Czech Christian Community, and Executive Director of the Anthroposophical Society in the Czech Republic. He teaches at the Tabor Academy of Social Arts in Prague and at The Christian Community seminaries in Stuttgart and Hamburg. He lectures in the Czech Republic and abroad on the evolution of consciousness in cultural epochs, the mystery of wisdom and the history of Christianity, spiritual Christology, anthroposophy, spiritual aspects of protecting the environment, and other topics. As a representative of The Christian Community, he, in cooperation with Michaela Glöckler, organizes an annual meeting on pastoral medicine in the Goetheanum (Dornach, Switzerland). He studied at the Hussite Theological Faculty at Charles University in Prague and at the Stuttgart Seminary of The Christian Community. After ordination, he worked for two years as a parish priest at The Christian Community in Namibia, Africa. He married in 2005 – his wife, Johanna, originally from Germany, is an anthroposophic doctor, and they have three children. Boněk co-authored two books with his father, Jan Boněk: The Czech Crown Jewels and Karlštejn. Eurythmist, devoted to education, art, therapeutic eurythmy, and adult education. Studied Social And Curative Education at the Tabor Academy of Social Arts; eurythmy, at Bildungsstätte für Eurythmie Vienna and under the leadership of Jiřina Lexová in Prague; and therapeutic eurythmy in Prague and Dornach, Switzerland. She was a student at the School of Natural Medicine in Prague. She spent one year at The Branch (Association La Branche), near Lausanne, Switzerland, working with the intellectually disabled. Founded the Education for Eurythmy Teachers in the Czech Republic project (2002-2007, 2010-2015), in cooperation with Eurythmy Nuremberg. 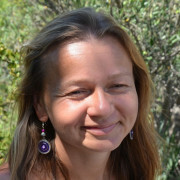 She has teaching experience at all school levels (12 years of work experience at Waldorf schools in Semily and Prague (Ruzyně, Opatov, and the Koněvova kindergarten). Co-founder of therapeutic eurythmy training in Prague (2005-2008); teaching in the Czech Republic, Bulgaria, Germany, Austria, and South Korea; practical experience at the Hradec Králové Faculty Hospital (Psychiatry Department) and the Arlesheim Clinic. Co-founder of the eurythmic artistic group, Theodora. Co-founder of the civic associations Association for the Anthroposophic Medicine and Eurythmea; coordinator of IPMT in the Czech Republic. Born in 1946, in Stuttgart, Germany. She attended a Waldorf School, then studied philosophy, history, German studies, and theology in Freiburg and Heidelberg. Following that, she studied medicine in Tübingen and Marburg, accompanied by continual study of anthroposophy on her own. 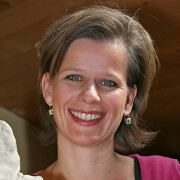 She specialized in pediatrics at the Herdecke clinic and the university clinic in Bochum. Until 1988, she worked as a pediatrician, as well as a school doctor in various Waldorf schools. Since 1989, she has led the medical department of the Goetheanum in Dornach, Switzerland, as well as lecturing and training doctors at home, as well as abroad. She is widely published, for example: Medicine on the Threshold, Abilities and Disabilities, Strength in Interpersonal Relationships, Conversations About Children, Spiritual Ethics, etc. Born in 1946 in Bad Düben. Between the years 1966 and 1972 he studied dentistry in Halle and since 1972 he has been a practicing dentist. Since 1985 he has had his own practice in Munich. 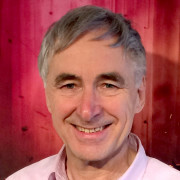 Since 1984 he has been active in the Anthroposophical research of the connections between the spirituality and dentistry. 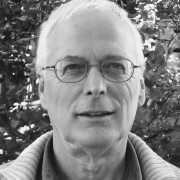 He has also been active in therapeutic speech, artistic therapy and curative Eurythmy. He collaborates with several Waldorf schools on researching tooth anomalies and searching for therapeutic interventions and special exercises from curative Eurythmy that would treat such issues. Born in the USA, brought up in the USA, France and England. After finishing his medical studies in Tübingen he specialised in paediatrics at the local clinic. He continued studying child endocrinology, diabetes studies in Tübingen and in Perth (Australia), child haematology and oncology (Tübingen). In 2011 he was certified as a paediatrician and in 2014 he received an honorary professorship at the University of Tübingen. His work mainly focuses on: psycho-physiological and hormonal maturation (especially in children around the Rubicon phase – middle of childhood), metabolism and skeletal and muscular development in integrative medicine. 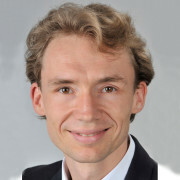 David Martin still researches and a teaches at the University of Tübingen, he is the head of the Acute Paediatrics Department, Acute Psychosomatics Department and the Department of Child Endocrinology and Oncology at the Filderklinik (Filderstadt near Stuttgart). Anita Pedersen is a nutritionist, she is married and has 4 children. Between 1980 and 1986 she studied nutrition with Professor Leitzmann at the University of Giessen, afterwards she studied Rural Development Programme at the Emerson College (UK). She was part of a nutrition research group with Dr. Renzenbrink in Schwartzwald. For three years she was a house coordinator in Camphill Coleg Elidyr. In 1995 she moved with her family to the south of Germany where she worked in Föhrenbühl Camphill by Lake Constance where she also spent three years founding the school kitchen. In 2010 she graduated from her MA in Social Care and Education at the University Plymouth, Standort Wuppertal. She has been lecturing on nutrition and home economics at the Camphill Seminar Frickingen. She has collaborated at the Nutrition Circle of Goetheanum and since 2013 she has been a house coordinator at Lautenbach near Lake Constance. She studied medicine with great fervor in Vienna and Graz. She first encountered anthroposophic medicine already in her childhood when she was growing up at a biodynamic vineyard in Wachau. This encounter later developed into a real interest and brought her to a nine months long seminar of anthroposophic medicine at Filderklinik. This seminar was led by Armin Husemann. Afterwards she worked as a head of the department of neonatology at St Pölten’s hospital. 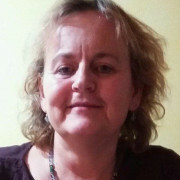 Since 2013 she has had a private anthroposophical practice in Krems and in Horn and she is the leader of the Austrian Zentrum für Lebendige Integrative Medizin Österreichs. 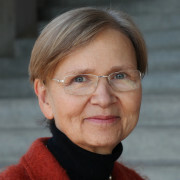 She is also a member of the GAMÖ (Union of Austrian anthroposophical doctors). She has two children aged 12 and 14. Born in 1942 in Bern, Switzerland, he attended Rudolf Steiner School in Bern and then went on to study pedagogy at the University of Bern. He worked as a class teacher and until 2006 he was the headmaster of Anthroposophical school Schlössli Ins in Switzerland. He works as a guest professor at the University of Riga, is a member of the European Forum for Freedom in Education. He is married to curative teacher Kamila Seiler and they have three children. 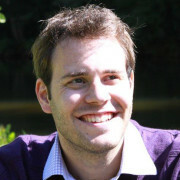 Since 1992 he teaches at Social Academy Tabor in Prague. 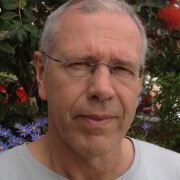 He organises seminars and lectures and helps as a mentor in Czech Waldorf schools. His favourite topics are: Waldorf pedagogy, development of psychology, Norse mythology, Astronomy, teaching about senses, Rosicrucianism etc. He published books on colours, stars, Parzival and Johann Heinrich Pestalozzi. 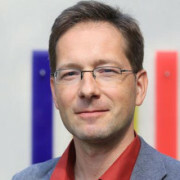 Born in 1964, in Schwenningenu, Germany. Between 1984 and 1990, he studied veterinary medicine at the Ludwig Maxmilian University in Munich. In 1994, he began his study of acupuncture and, starting in 2002, he began studying pulse diagnostics and osteopathy. In 2008, he passed his final exam to be a horse dentist (PED), and, since then, he has worked in the area of holistic horse dentistry. In 2011, he took his German Equine Dental Association (IGFP) exam to be a horse dental healer. Began studying anthroposophy in 2012; between 1990 and 1996, he assisted in various veterinary practices. From 1997 through 2011, he was a partner in a veterinary practice, specializing in horses and alternative healing methods. Since 2012, he has run his own practice for acupuncture, osteopathy, and horse dentistry, in Dischingen, Germany. Studied at the Sculpture School at the Goetheanum (School of Spiritual Science, Goetheanum, Dornach, Switzerland) and graduated in crafts education and art therapeutic modelling. She works as a psychotherapist. In the past she worked at the Department of Child Psychiatry in Neunweg and the Department of Geriatrics Knappschafts-Krankenhaus, Essen. Now she works as an art teacher and art therapist in curatively oriented classes of Waldorf school Essen. 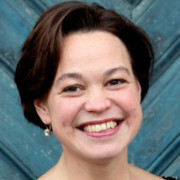 She is also an external lecturer at the Alanus Hochschule (Alfter) and she lectures both in Germany and abroad. As a teacher she takes part in missions into crisis regions. Studied medicine in Vienna (2004-2011), followed by anthroposophic medicine studies at the Eugen Kolisko Academy in Filderstadt, Germany and at the Ita Wegman Institute for Basic Research into Anthroposophy in Arlesheim, Switzerland. He was the co-founder and continuator of the EINHERZ initiative at the Medical University of Vienna, in 2008. He graduated from the University of Bern in 2011. 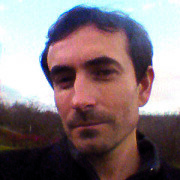 Since 2012, he has been a scientific worker in Gerhard Kienle’s Department of Medical Theory, Integrative and Anthroposophic Medicine at the Faculty of Health, Witten/Herdecke University, working in the area of medical theory, psychophysiology, and medical anthropology. Studied medicine at the Charité Universitätsmedizin (Berlin) and Anthroposophic medicine at the Eugen Kolisko Academy (Filderstadt) and the Havelhöhe Academy (Berlin). Since 2015 she works as an assistant doctor at the Children’s Department at the Filderklinik (Filderstadt). 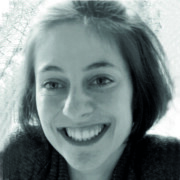 She is involved in the organisation of further education in Anthroposophical paediatrics and collaborates on the International Young Medics Forum . Born 1973, studied history, historical sciences and archival sciences at Charles University, Prague. Simultaneously he studied Waldorf Seminar in Semily. Between 1997 and 1998 he did his doctorate studies in Waldorf education which he concluded with his doctoral Thesis „Support of Health and Waldorf Education“. He worked as a teacher of German, as a class teacher and as a high school teacher in Semily. 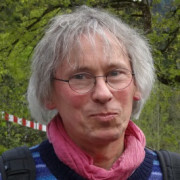 Between 1998 and 2007 he worked in the management of the Association of Czech Waldorf Schools and until now he continues to be a member of the Association of Waldorf Schools (Haag Circle). Since 2007 he has been teaching at the Freie Hochschule Stuttgart – a seminar for Waldorf pedagogy. He is married and has three children.